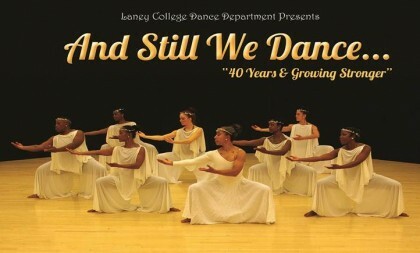 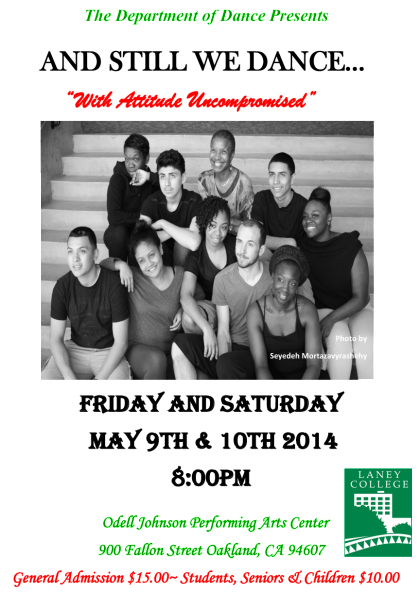 The Laney College Dance Department proudly presents our first performance in the newly named Odell Johnson Performing Arts Center featuring a ballet tribute to our recently departed senior faculty member, Dr. Lynette Stevens DeFazio. 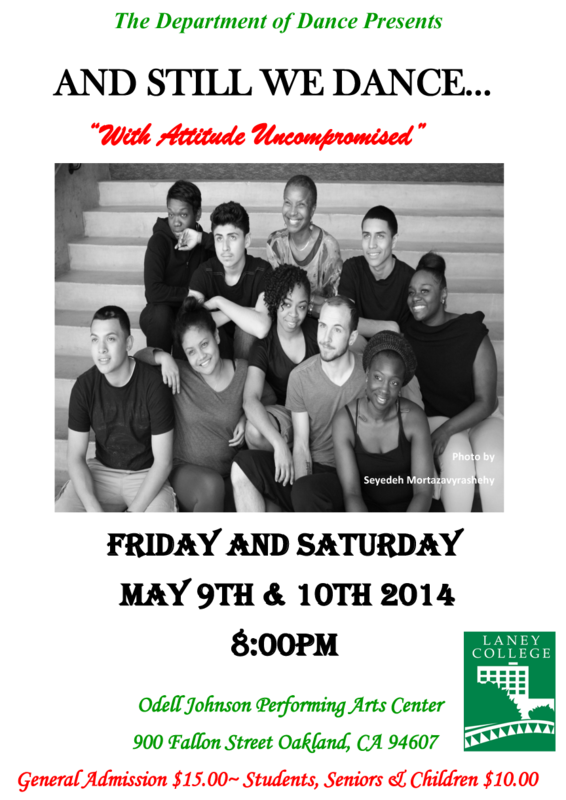 The dance production class, taught by Jacqueline Burgess, will feature choreographed works by faculty and students in Ballet, Modern, Jazz, Tap, Haitian, and West African dance. 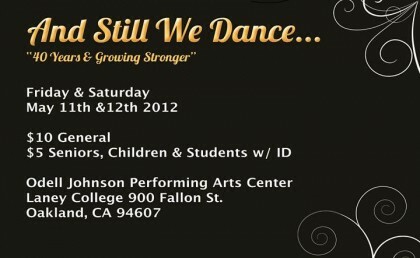 Friday, May 11th and Saturday, May 12th, 2012 at 8:00PM.